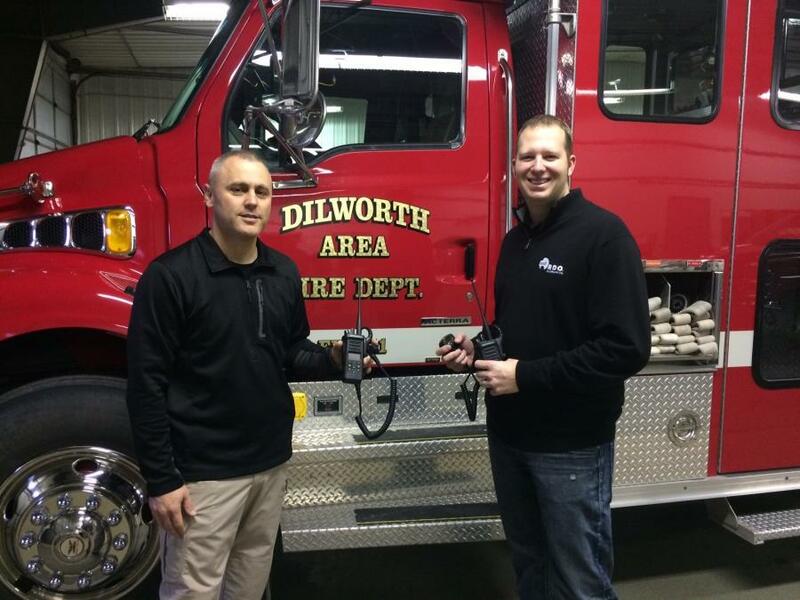 RDO Equipment Co. awarded 41 grants and a total of more than $500,000 to 41 volunteer fire departments across the company footprint through a special initiative of its Community Builder program. The Community Builder program is a unique initiative supported by the Offutt Family Foundation and open to employees of R.D. Offutt Company, parent company of RDO Equipment Co. and R.D. Offutt Farms. The program awards grants to charities in which team members are actively engaged, with the goal of making a significant impact on the community. All RDO Equipment Co. team members who are active volunteer firefighters were invited to apply for a Community Builder grant. As part of the application, the employee explained how the grant will benefit the local community along with information about his/her personal commitment to the fire department. Chris Conrad, customer service advisor in Burnsville, Minn., submitted a Community Builder application on behalf of the Zumbro Falls Fire Department, requesting extraction and water rescue equipment. “This is going to save lives,” Conrad said, upon learning his department received the grant. Community Builder applications are submitted year-round and awarded twice a year. Because of the number of team members who donate time to their local volunteer fire department, this fall's round of submissions was specially designated for rural and volunteer fire departments. In addition to RDO Equipment Co.'s efforts to recognize and award impactful grants to volunteer fire departments, U.S. Senator Heidi Heitkamp, D-ND, is pleased to support the initiative. A longtime advocate for rural and volunteer fire departments, Heitkamp introduced her RESPONSE Act, which became law in December 2016. The RESPONSE Act will help get first responders the tools and resources they need to handle hazardous incidents.